This 4-day Bwindi adventure invites guests into the Bwindi Impenetrable Forest, a World Heritage Site, in search of the enchanting mountain gorillas. Spend four days on the edge of the forest, spotting monkeys, birds and other wildlife. 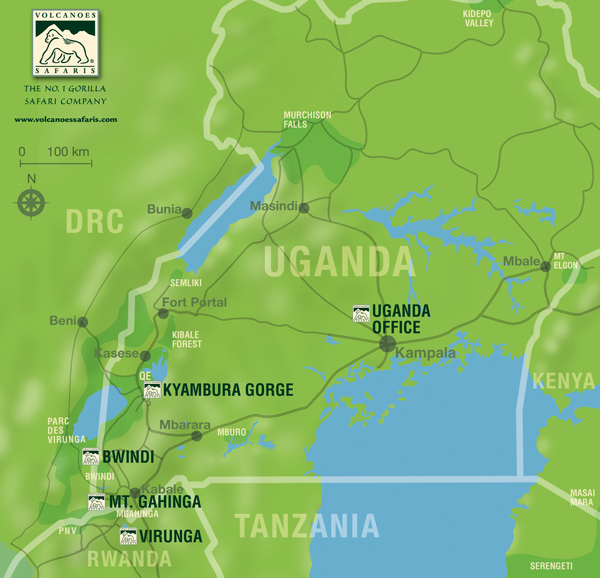 We also welcome you to interact with and learn about the local communities of Bwindi & Buhoma. Overlooking the primeval Bwindi Impenetrable Forest, Bwindi Lodge offers a truly unique jungle experience. Separated by nothing more than an idyllic stream, the gorillas themselves are frequent visitors to the finest lodge in Bwindi!